BMW has yet to officially reveal the updated 2020 BMW 7 Series, but we now have our second look at the flagship sedan’s updated face. Over the weekend a leaked photo of the 7 Series’s new grille leaked on Instagram and now we have a clearer photo on Twitter. 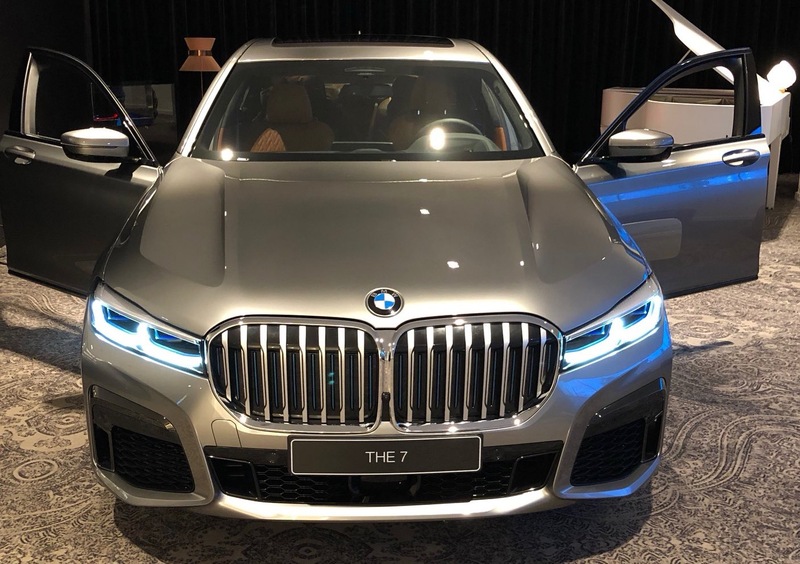 Twitter user StanRudman posted this photo of the 2020 BMW 7 Series, which reveals that the mid-cycle refresh will bring some big changes to the sedan’s face. The biggest thing you’ll notice is a new bigger grille that’s flanked by redesigned headlights. The version posted here also has a more aggressive front bumper. Inside the 2020 7 Series will get updated tech features, like a 12.3-inch digital instrument cluster and an updated infotainment system. The refreshed 2020 BMW 7 Series will have its world debut in March at the 2019 Geneva Motor Show before it arrives in showrooms later this year.